Related to a former USA president and the son of an ex-international footballer, Divock Origi has greatness and talent infused in his genes, and his prodigious abilities will now be at the service of Wolfsburg. The Belgium international joined the Wolves on loan from Liverpool on deadline day, adding his pace, directness and eye for goal to a side that was heavily reliant on Mario Gomez to find the net last season. The Germany international's 16 league strikes far outstripped the contributions made by the rest of the squad, and were almost half of the club's tally for the entire campaign that ended with the Wolves at the door of Bundesliga 2. Gomez can now rest a little easier as help is at hand. "We've really strengthened our forward line with Divock Origi," said Wolfsburg's sporting director Olaf Rebbe. "Divock has proved his abilities at club and international level and is very experienced for a player of his age. He's quick, can beat a man and is dangerous. He'll make us more unpredictable up top." 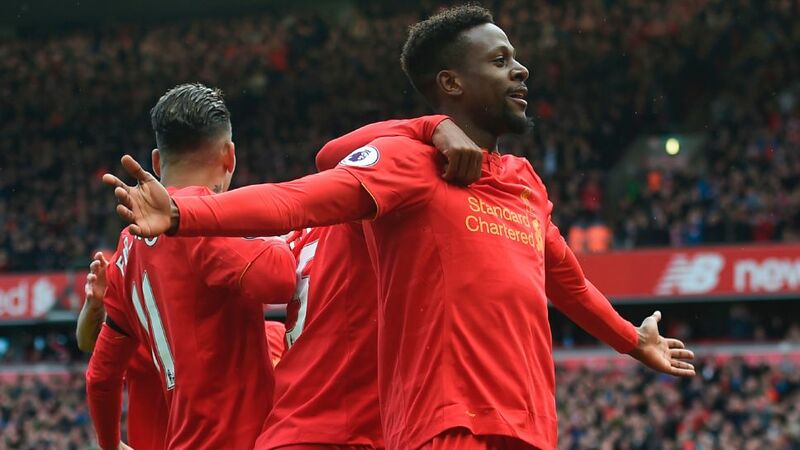 Origi himself spoke about "looking forward to the challenge", and given the relish with which he has thrown himself into such situations before, there is no doubt he will attempt to fulfil expectations. That has never been a problem for a man, who — though just 22 — has already cleared many hurdles en route to the Volkswagen Arena. Born in Belgium to a renowned Kenya international forward, Mike Origi, the youngster first had to handle the burden of being 'the son of…', shaking off that tag to make a name for himself at Genk, one of his father's former clubs. His renown soon spread beyond Belgium's borders, even reaching north-west England, but it was Manchester United who came calling when Origi was 15. Liverpool would have to wait… So too, as it turned out, would United. "I think it was just the decision of my heart. I saw Eden Hazard come through and these other players there like Gervinho and Joe Cole. I thought I’d have the chance to go through there," said Origi, explaining why — aged just 15 — he opted for the short hop across the border to Lille rather than heading over the Channel. "I didn't have anything against Manchester United or any team. My dream was to play in the Premier League one day but my heart said that I had to go through at Lille." Given he is a distant relative of former US President Barack Obama, whose Kenyan-born father hails from the same Luo ethnic group as the Origis, it is perhaps of no surprise the athletic, pacy forward is as decisive when it comes to shaping his career as he is when bearing down on goal. Lille, where he made his Ligue 1 debut aged just 17, set him on the path that would lead to Anfield and the Belgian national team: 23 caps for the Red Devils attest to the quality Wolfsburg have just embellished their squad with. Origi, himself, expects his career learning curve to continue on an upward trajectory in the Bundesliga. "For me, it's one of the best leagues in the world," he said at his official presentation. "When Liverpool said they were ready to let me go out on loan, it was immediately clear Wolfsburg was the best option for me. I can hardly wait to get started. I'll give everything to try and help the team be as successful as possible." With Origi bolstering the firepower provided by Gomez, Daniel Didavi, Jakub Blaszczykowski, Kaylen Hinds, Paul-Georges Ntep and Yunus Malli, surely Wolves fans can harbour expectations that go well beyond mere top-flight survival.